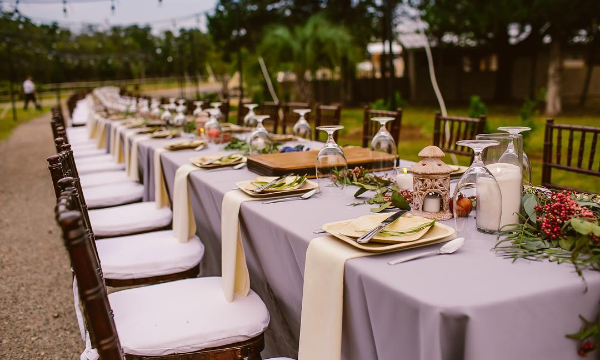 Summer is great for family barbecues and outdoor dinner parties. You probably have family visiting from far away, or friends who would love to get together for a meal. Sometimes going to a chic restaurant during theses busy months isn’t worth the wait. Treat your family and friends with these celebrity chef recipes. Try these unforgettable celebrity chef recipes to make your friends and family feel like celebrities too! 1. Martha Stewart’s Lemon-Poppy Seed Buttermilk Biscuits: As much as anyone enjoys dinner rolls, they can be very predicable. 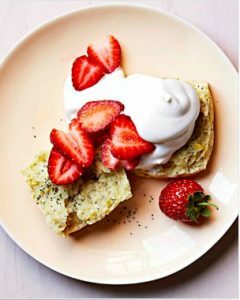 Try Martha Stewart’s lemon-poppy seed buttermilk biscuits for a change in expectations. Add butter or a sweet jam to these biscuits as a starter for your meal. 2. 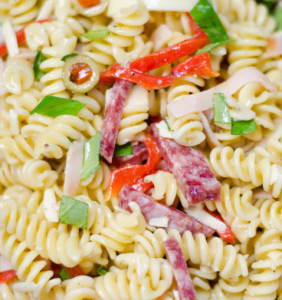 Giada De Laurentiis Italian Pasta Salad: This easy to make pasta salad is an appetizing side. It embodies a savory antipasto platter with it’s many meats and cheeses. 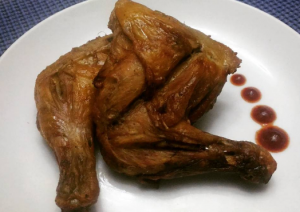 Your guest will be asking for seconds from this recipe! 3. Art Smith’s Southern Oven Unfried Chicken: Your guests will be licking their fingers over these delicious chicken wings. This recipe was even featured on an episode of Oprah! These wings will go great with ranch dressing or just by themselves. 4. Aarón Sánchez’s Charred Corn with Cheese & Chili-Lime Butter: Try this corn on the cob that has an extra kick of flavor. 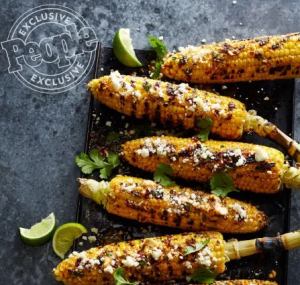 This recipe allows you to cook outside by using a grill to help season the corn. After trying this recipe, you might not want to go back to regular corn again! 5. Jamie Oliver’s Rhubarb Sorbet with Pistachio Brittle: Hopefully your guest have saved room for this sweet treat! 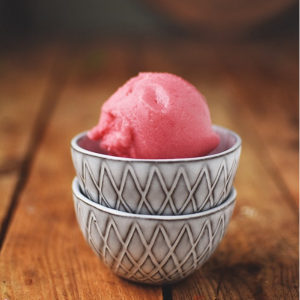 Rhubarb is a sweet and sour plant that makes the perfect taste for sorbet. The pistachio brittle is the finishing touch to this desert. You will have to make this desert the night before the party to allow the sorbet to freeze completely, but don’t let that stop you from trying this exclusive desert! What are your favorite recipes to use at dinner parties? Share yours in the comments so our readers can try them!